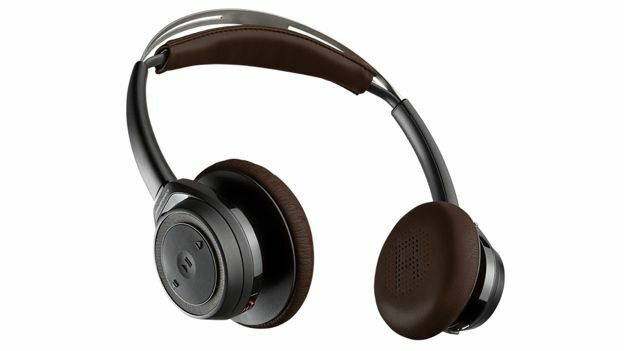 Plantronics has unveiled its new BackBeat Sense Bluetooth on-ear headset that it claims is 50% lighter than comparable offerings. The BackBeat Sense brings Plantronics' impressive sound quality to the table alongside a build quality that may be light but doesn't scrimp in the features department. Weighing in at barely 140g and possessing a headband that fits 99% of head shapes and sizes, it's unlikely to give you a headache any time soon. Worries about battery life are dispelled by “best-in-class Bluetooth battery life” that lasts for up to 18 hours on a single charge. Built-in smart sensors pause music when headphones are taken off with sound faded back in once the headphones are back on and the intelligent pairing allows two devices to be paired simultaneously with switching between the two a doddle. It has an impressive range of up to 100m and the dual HD mics allow it to offer optimum verbal communication at the same time as the already impressive audio. The buttons, meanwhile, are crammed onto one of the two earpieces. Coming in two different colours (Black/Espresso and White/Tan) the BackBeat Sense is out in the US right now with worldwide availability kicking off in September at a suggested price of $179.99, £149.99 or €179.99 depending on location.